Equipping Believers Around the World to do the Works of Jesus! 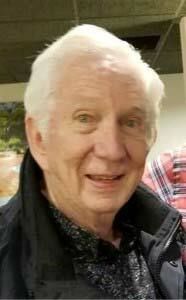 I’m writing this on my 83rd birthday, my 73rd year of walking with the Lord and my 46th year of living and walking in The Spirit since receiving the baptism of the Holy Spirit in 1972. This has been an awesome week of remembering some of the wonderful things God has done! Joyce and I will never forget the night that our friends, Charles and Francis Hunter who had recently received the Baptism of the Holy Spirit, laid hands on us and ministered the Baptism of The Holy Spirit. Just like on the Day of Pentecost, we were instantly speaking in our new heavenly language. That night as we were letting them off at the hotel where they were staying, Francis said you will notice these changes in your life. You are going to notice that you have more love for God than you have ever had! You will experience more love for the Word of God than you have ever had! You are going to feel you have more love for other people than you have ever had before! And you are going to notice that you have more power in your life that you have ever had before! And that is exactly what happened! Our love for God, His Word and for other people exploded into a whole new dimension. We felt a love for God like we have never had before. It was as if God was putting new verses in our Bibles! We felt God’s love reaching out to other people everywhere we went. But we didn’t know what the Hunters meant when they said; You are going to notice that you have more power in your life! Just one week later, we were hanging up draperies in our new vacation home at Big Bear Lake, California. Suddenly, Joyce grabbed the back of her neck and exclaimed, I’m in terrible pain! Not knowing what to do to help, I started rubbing the back of her neck. As I did, I silently said, Jesus, touch it! She said it felt like I put my hands inside her neck and pulled the vertebrae into proper position. The pain was instantly gone. Then she realized that I couldn’t put my hand inside of her neck – She had felt the hands of Jesus. Our teenaged son, John, was sitting on a stool on the other side of the room. His finger had been bitten by a scorpion the week before and was black, swollen largely and in extreme pain. Holding up his finger he exclaimed, Dad, What about my finger? I walked over and put my hand gently around his finger and said: Jesus, touch it! The finger was instantly healed, all pain, discoloration and swelling were gone. It was like Jesus had stepped out of the pages of our Bibles and was in our home. A short time later, healing miracles began to happen in The Hunter’s meetings. They would call us up and tell us about the exciting miracles. Within a few months, they invited us to attend an upcoming miracle service in San Diego. We were excited because we had never been to a miracle service before. To our surprise when we arrived at the ballroom where their meeting was being held, they quickly ran over to us and said God had told them we were going to minister with them that night. We had never been in a miracle service and didn’t know what to do and we tried to get out of it. They kept insisting God had told them that we were going to minister healing with them that night. They spent a short time lifting the people’s faith and soon we were standing with a long line of people in front of us. They were waiting to be healed. It started with a man on crutches with his leg in a cast. We laid hands on him and spoke healing and he fell under the power of God. Suddenly, he was back on his feet jumping up and down on the leg in the cast, shouting, I’m healed, I’m healed! The next person in line was a young boy and when we spoke healing, his deaf ear suddenly popped open on him and he was shouting, I can hear! That night, everyone that we laid hands on was instantly healed by the power of God. What an awesome night! On our first missionary trip with the Hunters and Dr. Lester Sumrall, we ministered healing to a young lady who had come out of the hospital with elephantiasis. Her left leg was swollen hugely. I reached down and touched it as I said, Jesus, touch it! It looked like I had stuck a pin in a balloon. The leg instantly shrunk to normal size and the bandage fell in circles loosely around her ankle. She kicked it off, threw down her crutches and began running high speed around the auditorium. The following week in Dr. Sumrall’s church in Manila, God gave me a word of knowledge about a lady who was totally blind in her left eye. I pointed her out of a crowd of over a thousand people and as she came forward and I laid hands on her, she was instantly healed. A young man who had suffered from polio and had one leg eight inches shorter than his good leg watched in amazement as his leg and foot grew out to its normal length. We have seen creative miracles including a boy in India who had no hand on one arm only a wedge of flesh at the end of his wrist. As I took it in my hand and began to speak a creative miracle, the hand, fingers and even fingernails grew out until that hand was the same as his other hand. I remember a time I spoke life into a dead cat and then watched as it stretched and walked off. Soon after that, a man died in one of our meetings in Atlanta, Georgia. If God cared about the pastor’s cat, certainly he cared more for this man. I rebuked the spirit of death and commanded life to come back into his body and he instantly opened his eyes and sat up. These are a few of the wonderful miracles we have seen but some of the greatest miracles we have seen have happened through the hands of those we have trained to do the works of Jesus as our ministry has now taken us to nation after nation speaking and ministering to crowds of over 200,000 people in Kenya, Africa and other nations. I have been the spiritual advisor and close friend of the former president of Zambia, and Joyce and I have traveled all over his nation in the presidential limousine, preaching to packed halls of preachers during the day and packed stadiums at night. Joyce and I were his special guests for the opening of Parliament and he has given our books, manuals and videos to many other African presidents. I had the privilege of sharing Jesus with the Prime Minister of an Islamic nation and his wife in their home. He was not only the Prime Minister of his Islamic nation where it is a hanging offense to proselytize a Moslem but he was the Chairman of The Federation of all Islamic nations of the world. I have shared with the man who is the king over all of the kings of Africa and have also been appointed and credentialed as a United Nations Goodwill Ambas­sador of the Golden Rule Initiative as God keeps opening doors. Just as God used Charles and Frances Hunter to push us into believing God for miracles, we have pushed others! Hundreds of Kingdom Training Centers con­tinue to be established in nation after nation using the practical, life-changing curriculum we have developed and have had translated into many languages. It is always amazing to Joyce and I when we think back to the extremely shy people we used to be to realize how God has used us. It’s the power of God’s word that changed our lives. 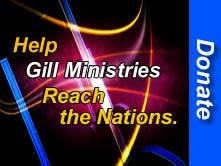 We have made all of this teaching available free of charge to others in so many nations with millions of “hits” every year on our website: www.gillministries.com. Now, at the age of 83, our ministry has taken us to close to a hundred nations and some of them over fifty times. God has not told us to stop. There is nothing we enjoy more than ministering to people. We are looking forward to meetings in Canada, Columbia and The Philippines in the coming months as we keep going as your mission­aries to the world. Joyce continues to spread our teaching of the Word around the world on the Internet. Needless to say, we can only do what we are doing because of the partnership of others. Many of our former, faithful partners are enjoying the fruits of their labors in the presence of Jesus. Now, we are asking God to raise up others, who will through faithful prayers and generous giving, partner with us in this international ministry. Please pray about what God would have you do to help us! If our ministry is a blessing to you, we ask that you make a donation today to help us continue going to other countries, paying for translations, keeping our website up and doing the other projects God has laid on our hearts. We need your help! Click on the image or link. ← Revival is Breaking Out!